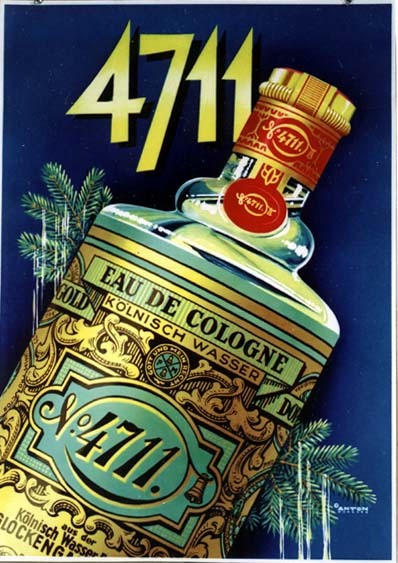 4711 is the ORIGINAL Cologne, the one that gave the name "Cologne" to all of the Colognes that came after. And it is still being made! 4711 is quite expensive and highly concentrated. Hoyt's Cologne is an excellent and cheaper copy of it and is lucky in hoodoo. Florida Water is a lousy, very cheap copy of it that is used in Afro-Caribbean traditions of spirituality. Those who understand perfumery tend to identify these three as a family of scents, which they are, and that is why we stock the mini-bottles of 4711. It is not of much interest in folk magic per se, except to those who wish to trace the history of perfumery in folk magic. catherineyronwode wrote: Those who understand perfumery tend to identify these three as a family of scents, which they are, and that is why we stock the mini-bottles of 4711. It is not of much interest in folk magic per se, except to those who wish to trace the history of perfumery in folk magic. I have fond memories of 4711. I discovered it in a local drugstore when I was in my early teens, after my mother had forbidden me to wear Faberge Tigress, her signature scent. "You don't steal another woman's thunder," she used to say. When I showed it to her, she approved of it and ... promised never to wear it as long as I did. I guess the only hoodoo connection here is that I still like Florida Water because it reminds me of *my* signature scent from decades ago, much more than the delightful Hoyt's Cologne does.